Santo Domingo.- The Immigration Directorate on Mon. said it deported 820 foreigners, out of 1,143 detained in various operations carried out in different in several parts of the country. 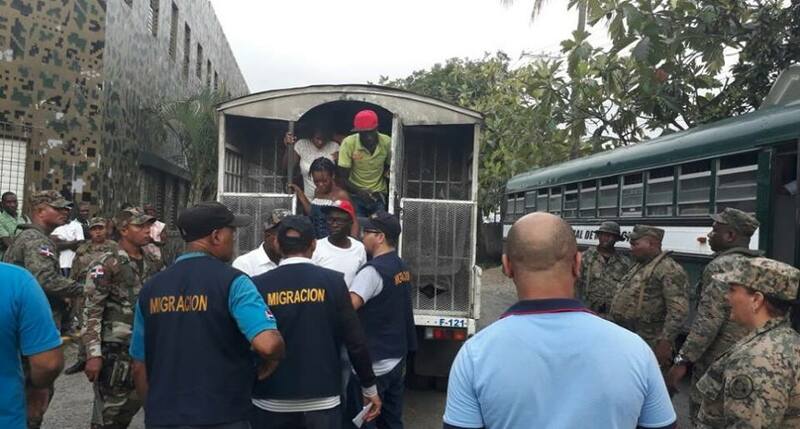 It said the sweeps were carried out in Espaillat, Montecristi, Santiago, Puerto Plata, Valverde provinces and the National District and Santo Domingo Norte, Ese and Oeste. “The teams in charge of these operations were integrated by inspectors and Migration Control agents, with the support of military personnel of the Army, Navy and the Air Force, in coordination with Justice Ministry representatives of the referred provinces,” Immigration said in a statement. ← Sha 7 Why Does the Devil call our people Dominican?